Below are examples of SECOORA supported efforts related to Marine Operations. Note most observations and tools funded apply to multiple themes. Over 4,000 datasets and 75 million observations are accessible through the SECOORA Data Portal. Use the tool to explore, download, and visualize ocean and coastal data and models in the Southeast U.S. The Marine Weather Portal provides a one-stop shop for marine observations, forecasts, and short and long-fuse warnings for the coastal waters of the Southeast region. SECOORA supports High Frequency radars along the Southeast coast. 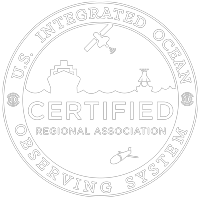 The land-based instruments use radar technology to map ocean surface currents in near real-time.